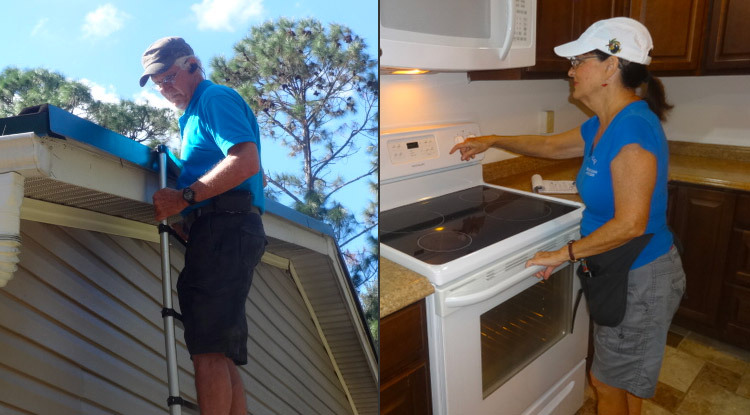 Brinkman Home Inspections has been in business for over 15 years in Citrus County, Florida. We are Partners with the Realtors Association of Citrus County, RACC. Currently, we serve Citrus, as well as parts of Levy, Marion and Hernando Counties. Our expertise and knowledge will help you make informed decisions regarding your current or future home. Whether you are a buyer, seller, owner, or a Real Estate Agent, we provide you with consistent, quality service that you can depend on. We offer a Comprehensive Home Inspection, a Wind Mitigation Report, and 4 Point Report for Insurance purposes. There is more information on these in the Services section of this website. Though we do not perform repairs on your home, we will send you a written Report with clear, pinpoint photos of our in-depth observations. This Report comes to your email within 24 hours of our inspection. Inspections last an average of two hours, and we welcome your presence. As the owner of Brinkman Home Inspections, I am licensed by the State of Florida as a Home Inspector, # HI 8104, and certified by the American Home Inspectors Training Institute (AHIT). I must take at least 14 hours of continuing education to maintain my license every two years. Prior to owning Brinkman we were working in Decorative Concrete, counter tops and flooring. We also have experience in buying/selling homes, “flipping” as it is called today, where we performed a lot of the renovation ourselves. For most of us, choosing our home is our biggest challenge. With that in mind, we inspect your home with great care and attention to detail to help you protect your investment. When I say “we” above in reference to Brinkman Home Inspections, I mean my wife and myself. When you agree to use us you get two pairs of eyes, mine and Jeanne’s. We have worked together in several ventures, and this one suits us very well. You will see her pictured in some of the following sections. Jeanne has a routine that she follows for every one of our clients. She is a wonderful asset to our business and I am glad to have her by my side. Visit our Services page if you require more information regarding what is involved in the Inspection, or for answers to other frequently asked questions. Click Pricing here for rates, or you can call call Dave at (352) 634 – 0631.